Handy domestic size for guttering or downpipe finish coat. 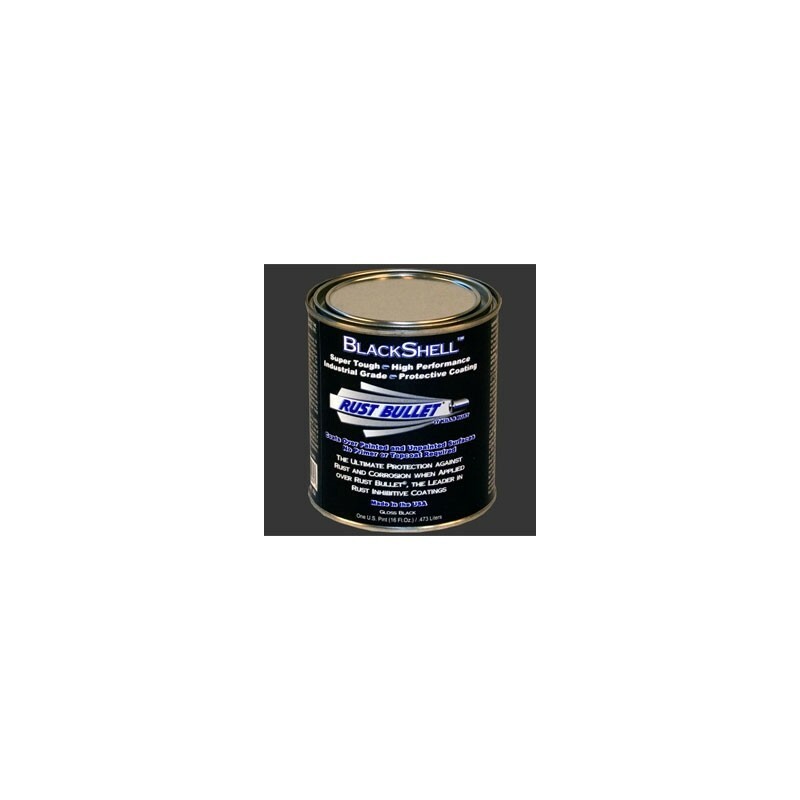 Introducing BlackShell the newest member of the Rust Bullet line of Coatings specially designed to meet the demands of todays savvy customers. Rust Bullet has developed the Optimum Gloss Black Coating using only the highest quality raw materials available. BlackShell combines both Function and Beauty to create a lustrous texture with a classic look. BlackShell can be applied over painted or unpainted surfaces is UV resistant and can be used as a stand alone protective coating that will protect your iron and steel. 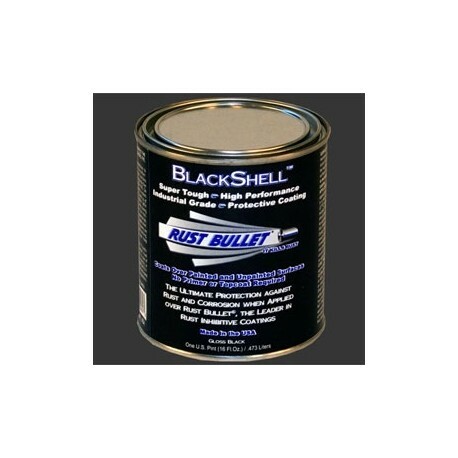 For the ultimate protection, simply apply BlackShell as a topcoat over Rust Bullet Rust Inhibitive Coating to create the strongest armor tough, chip resistant protection against rust and corrosion ever formulated. One pint(0.473lts) covers approx. 50 sq. ft. per coat.